Your journey starts in the atmospheric courtyard of the original Höpler winery which has been skillfully renovated to provide a classy environment for a very personal and sensual wine adventure. 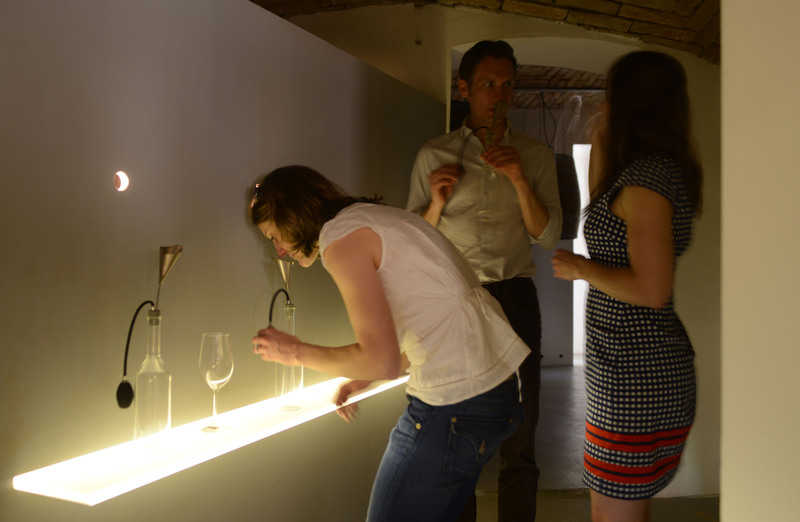 Next you are led through eight different rooms and in each room you are introduced to a different aspect of wine. The treasure room where we learn that good wines require passion and understanding and this makes them unique and precious. The colour and aroma rooms where you can put your senses to the test; the sound and touch rooms where you can compare the colour of different wines and feel the different soils that impact the vines. We finish with the film, time and the all the important tasting rooms. 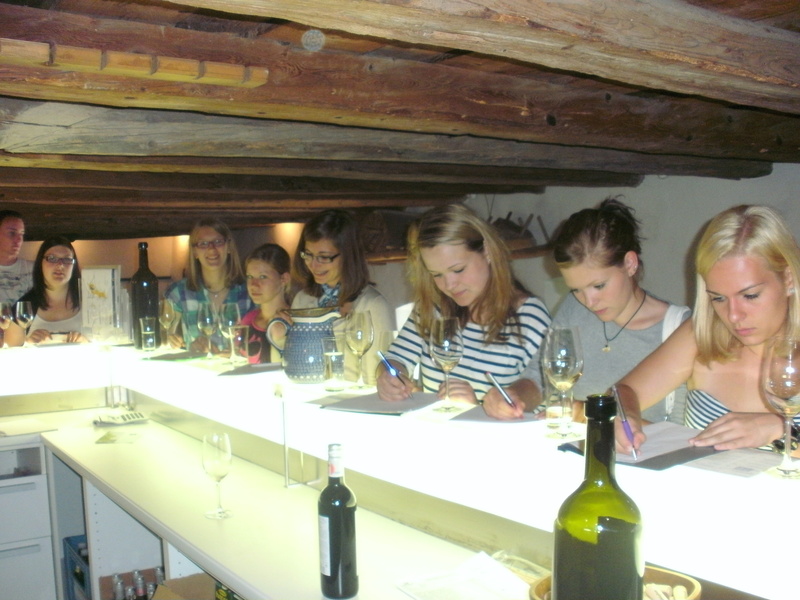 Here you get to sample some of Höpler’s magnificent wines and if you wish even take some home with you. This is a wine tour with difference. There are no lectures or formal commentary about wine. The aim is to break down the barriers that can make the world of wine intimidating. By focusing on the senses we hope to awaken your wine conscience and give you the confidence and tools to form your own opinions. Depending on how long you linger during the tasting…. the tour should last approximately a long hour!